Max charter size is 34 people. Went again this year. 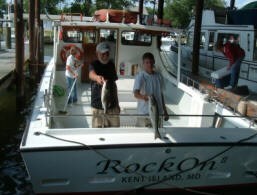 Boat was safe, tackle and gear good, Captain had us on fish in about 45 minutes. I will return.